Each Student Life department area hires student leader interns each year to serve and fulfill the mission and vision of Student Life to champion the student experience by creating holistic programming and Christ-centered learning environments. Positions and scholarship amounts vary each year depending on need. Scholarships range in amounts depending on role and responsibilities. Student leaders agree to uphold the Community Covenant, abide by the Student Handbook, and sign a leadership contract, and behavioral expectations. Student leaders also attend required training before each semester and participate in a student leadership seminar course each semester. Student Government Association (SGA) has elections the year before with a freshman representative election in early fall for incoming freshman students. The 8 SGA scholarships range depending on officer or representative responsibilities. 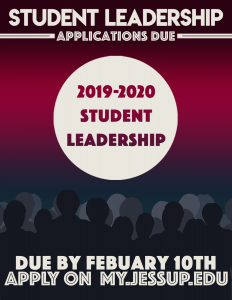 Interested in applying for student leadership? Position descriptions and the application can be found below. 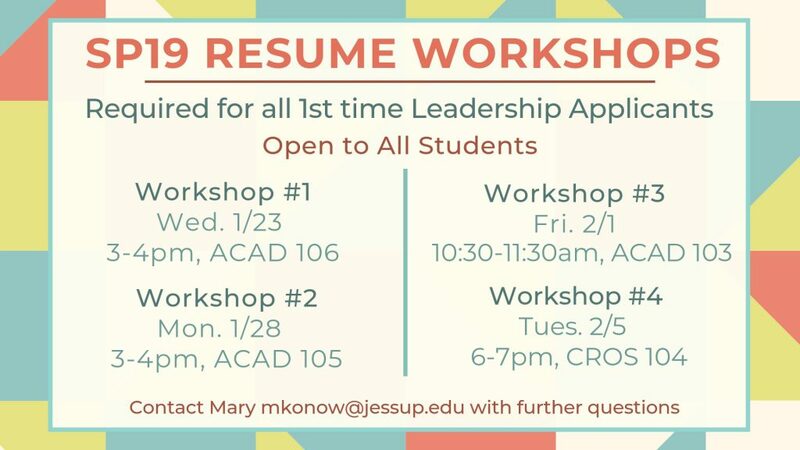 Position descriptions are also available at the Student Life Office after 1/17/19. Applications are due by 11:59 pm. To request a late application submission please contact the supervisor of the leadership area you intend to apply for. 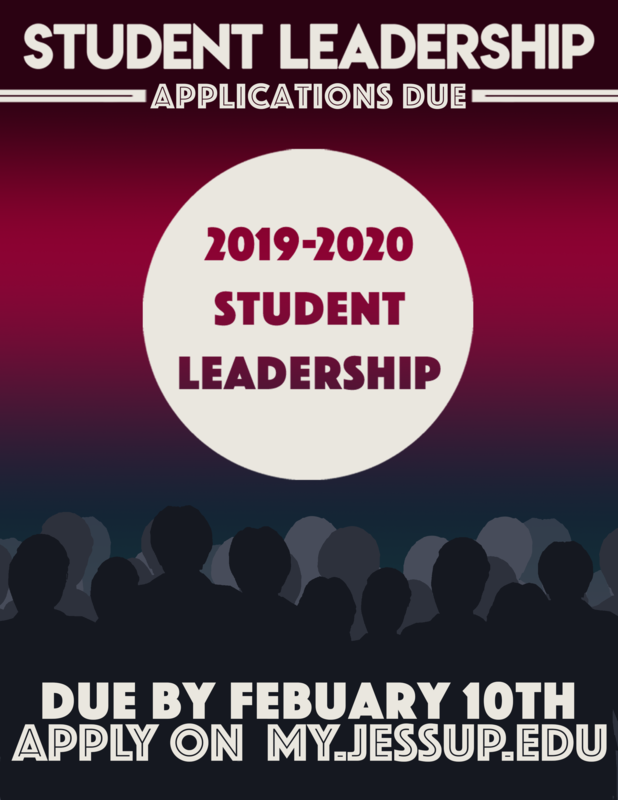 The Student Leadership Application is now closed. Please contact the Student Life Office if you have any questions regarding your application.